The Flying Horses is at the beginning of Circuit Ave. in Oak Bluffs. 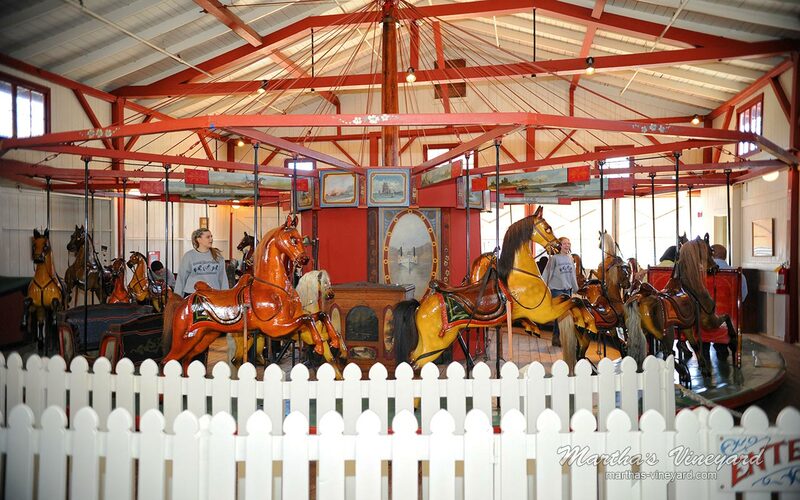 It is the oldest continuously operating carousel in the nation. It was built in 1876. 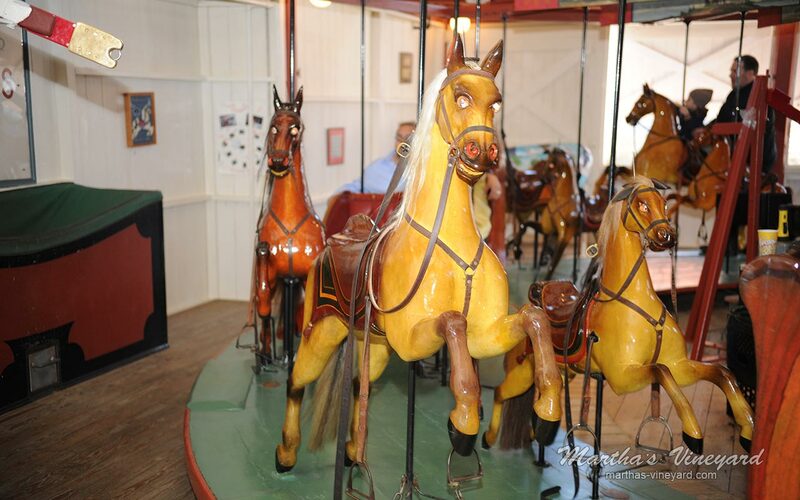 The horses are hand carved and have real horse hair tails and tiny lead animals embedded in their glass eyes. 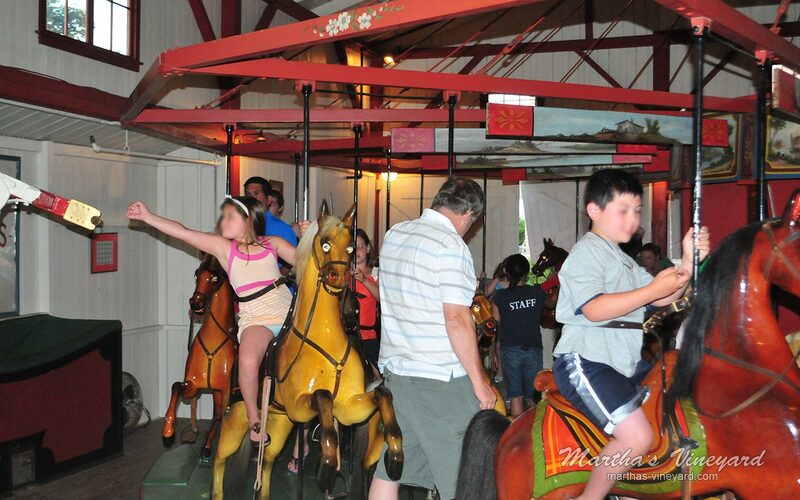 Generations upon generations have ridden on the Flying Horses grabbing at the brass ring for that elusive free ride. 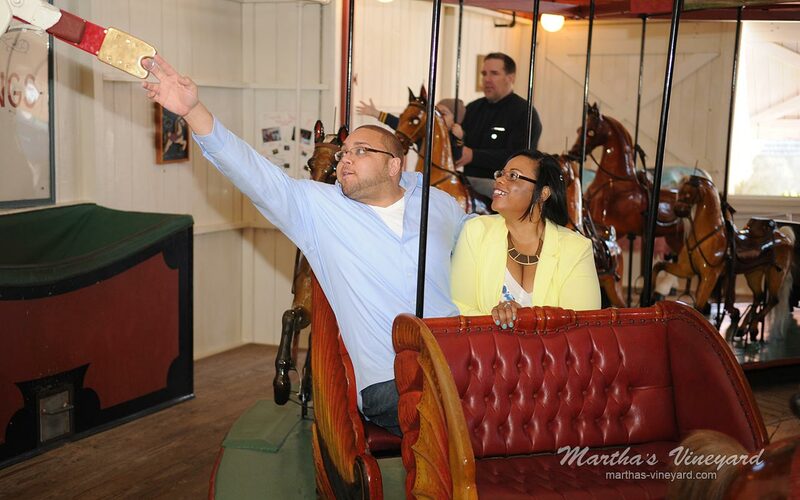 The Flying Horses are listed on the National Register of Historic Places.